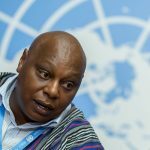 (NAIROBI/NEW YORK) – Special Rapporteur Maina Kiai has been chosen to receive the United Nations Foundation’s 2016 Leo Nevas Human Rights Award, and will travel to New York to accept the prize at the Foundation’s Global Leadership Dinner on Oct. 19. Fellow honorees at the event will include United States President Barack Obama – who will receive the foundation’s Champion for Global Change Award – and Ertharin Cousin, Executive Director of the World Food Programme. The Leadership Dinner is co-sponsored by the United Nations Association of the United States of America (UNA-USA). 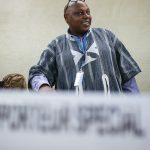 The award honors Kiai’s work advancing civil liberties worldwide as UN Special Rapporteur on the rights to freedom of peaceful assembly and of association. Kiai has served in the position since May 1, 2011. The Leo Nevas Human Rights Award was launched by the Leo Nevas Human Rights Task Force in 2007 to honor its longest-serving board member Leo Nevas, a lawyer and human rights advocate. Nevas was a proponent of the importance of the United Nations’ principles and his commitment made it possible to support human rights through education and advocacy – a legacy encouraging global citizenship. 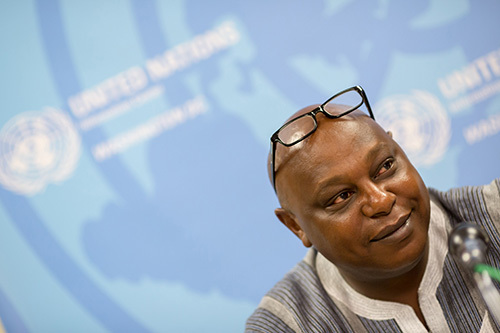 The award recognizes those who have served as agents of change in advancing international human rights. Previous recipients of the award include US Ambassador to the United Nations Samantha Power, US Congressman Tom Lantos and Sheryl WuDunn. 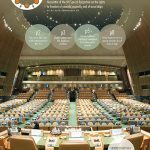 The United Nations Foundation was created in 1998 as a U.S. public charity by philanthropist and media mogul Ted Turner and now is supported by global corporations, foundations, governments, and individuals. Current board members include former UN Secretary General Kofi Annan and Her Majesty Queen Rania Al-Abdullah of Jordan. The Global Leadership Dinner was first held 55 years ago by the UNA-USA, and has since been held annually to bring together policymakers, diplomats, UN supporters, business leaders, and to call attention to some of the world’s most pressing humanitarian crises, and recognize the vital role the UN can play in advancing peace, prosperity and justice.